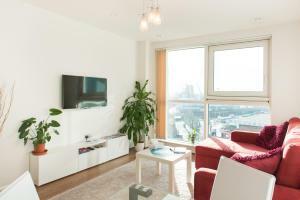 Set in London, this apartment is situated on an award-winning riverside development, 1.5 km from Westminster Abbey. The unit is 1.6 km from Houses of Parliament and features a spa bath, marble kitchen and marble bathroom. See all Modern Apartment Riverside Top Floor reviews..